Thanks so much to everyone who got in touch with me about sketches for Heroes Con. 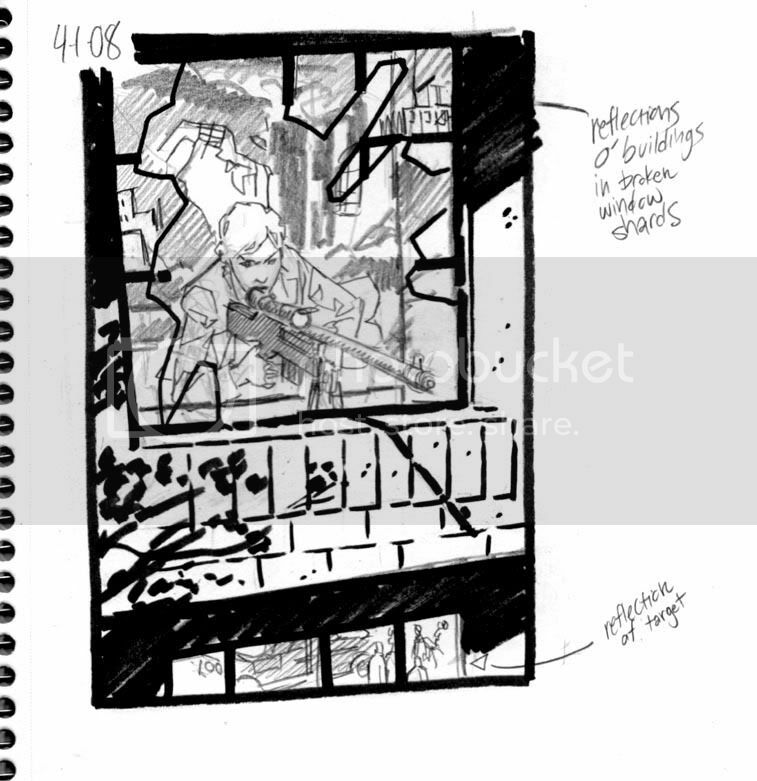 I am no longer taking pre-orders for sketches. If you are interested in getting a sketch, please stop by my table early in the show so I can put you on the list then. I'll be attending several comic conventions this summer but I will only be doing sketches at the Heroes Con. 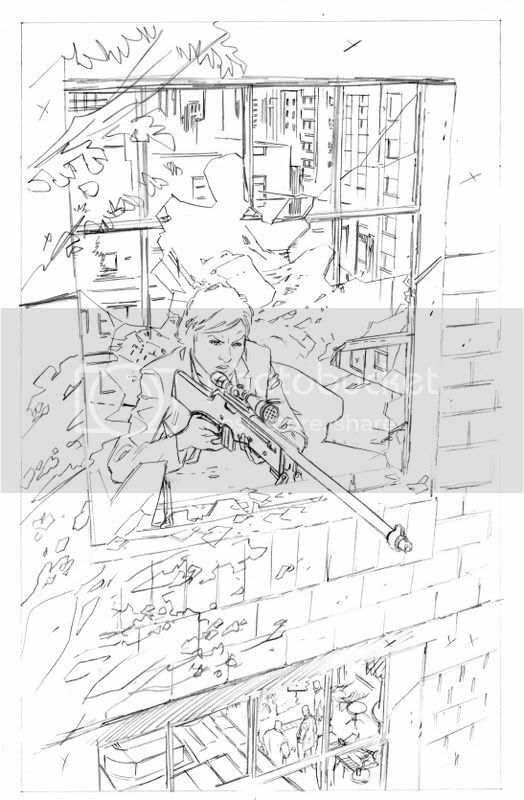 All sketches will be personalized. If you know you will be attending Heroes Con and would like a sketch please drop me a line, my email address in my profile. If I'm able I will have your sketch done before the show, otherwise each sketch will be drawn at the show in the order I receive your emails. There it is all finished up. 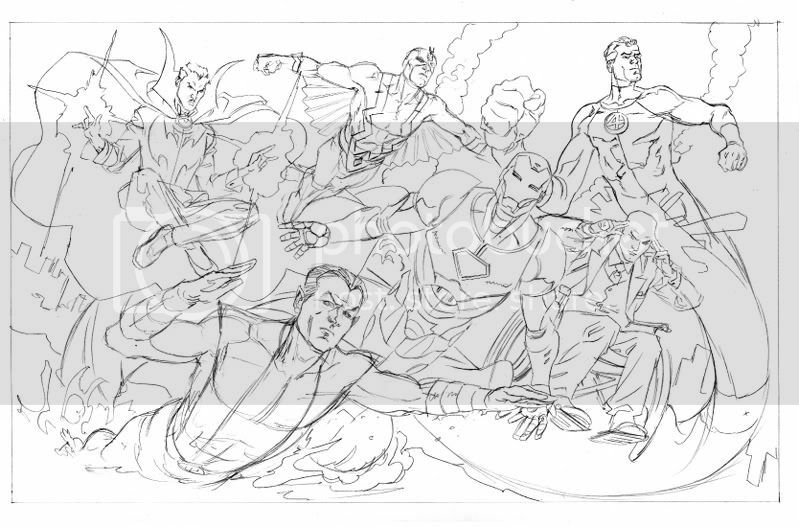 Namor looks a little wonky here but got doctored up in the inks. 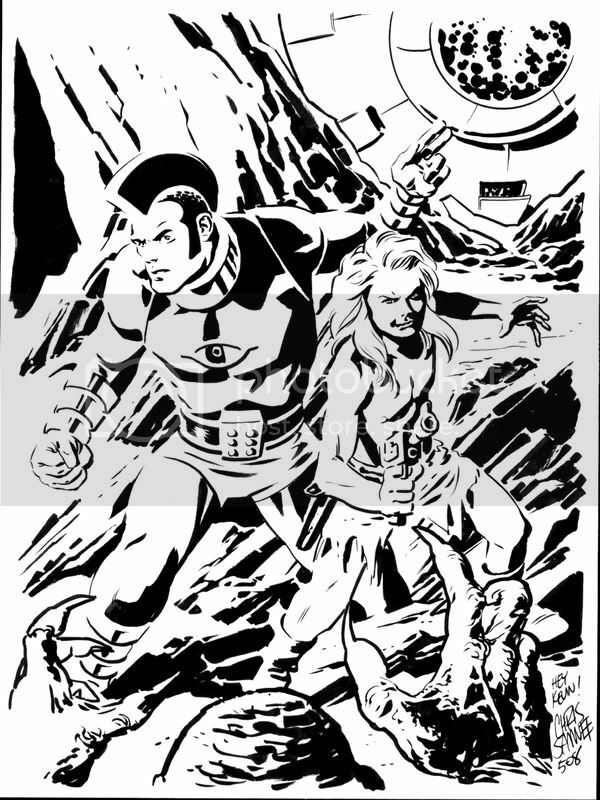 I'm a big fan of the orignal Bill Everett designed Namor with the big triangle shaped head, but if Sue Storm is gonna be tempted to cheat on Reed Richards with him he has... to... look... uh yeah, that's enough nerdity for one day. 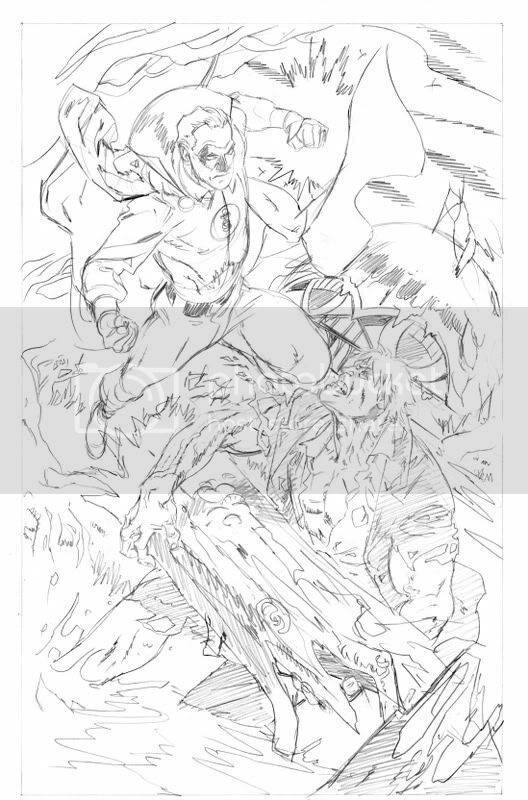 Check back tomorrow for the inks. 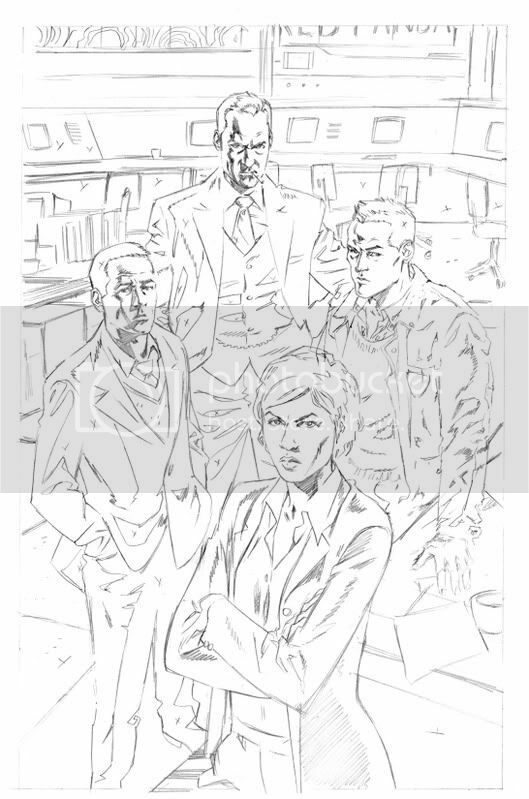 Here are the sketches for an Illuminati commission I did a while back. For those not in the know the team consists of Professor X, Dr. 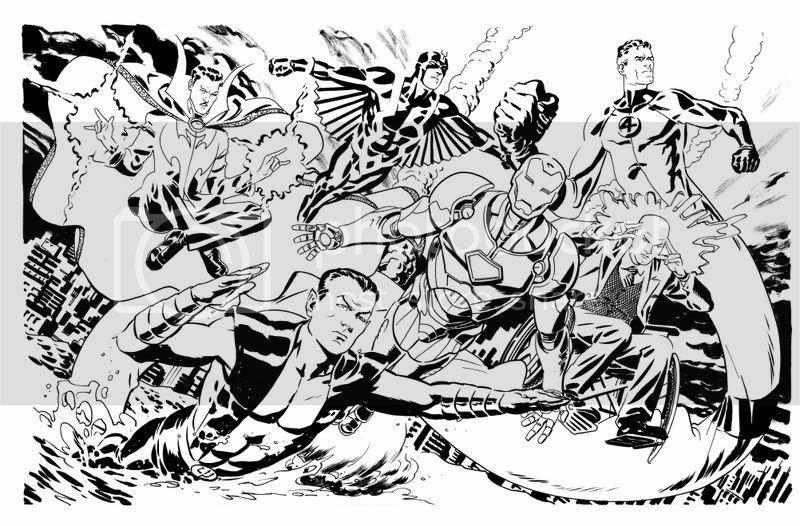 Strange, Iron Man, Black Bolt, Namor and Mr. Fantastic. 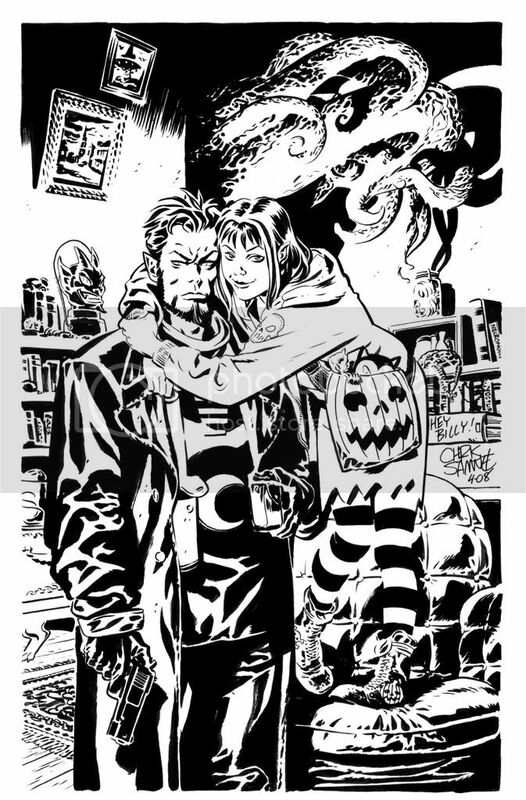 And here are the finished inks. I did most of the textures in this step and tried to add a few little easter eggs from the comic in the background. After all is said and done I think this one turned out pretty okay. 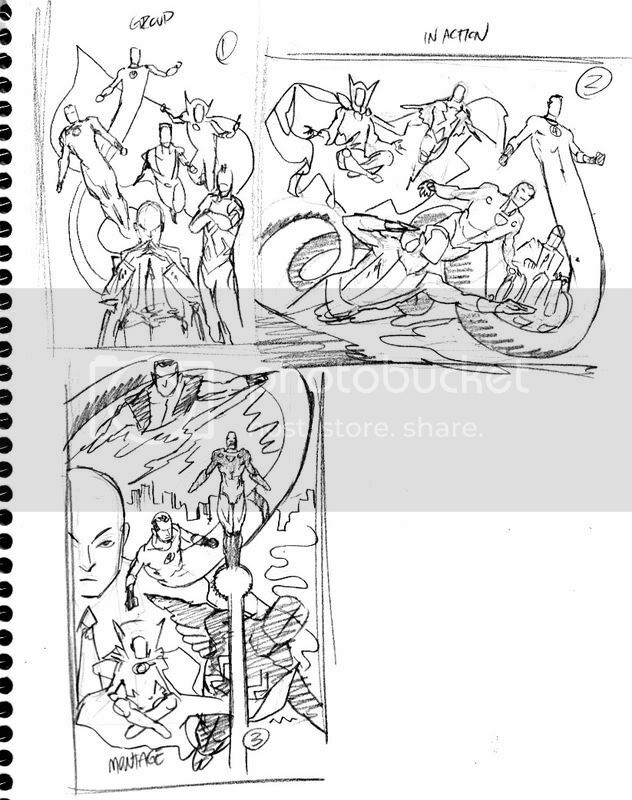 Yeah, we went with the top right sketch... except Doc's arms are now uncrossed and I stuck a gun in his hand to show he may sense the tentacles behind them. 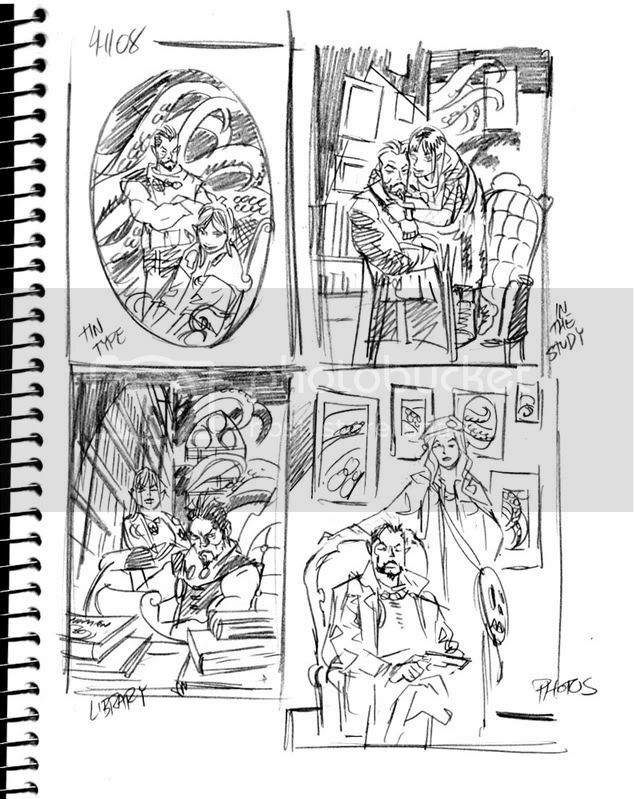 Here are the thumbnail sketches for a piece with Doc Horror and Halloween Girl from Dan Brereton's Nocturnals. We were going for a "family portrait" sort of thing with sort of a Cthulhu monster's tentacles in the background. And here are the finished inks! 'Nother Queen & Country themed commission, this one is sort of a riff on the cover I did for the Red Panda arc... which was a riff on Tim Sale's cover of issue#1. It all comes back around I guess. I'll stick the inks up here tomorrow. 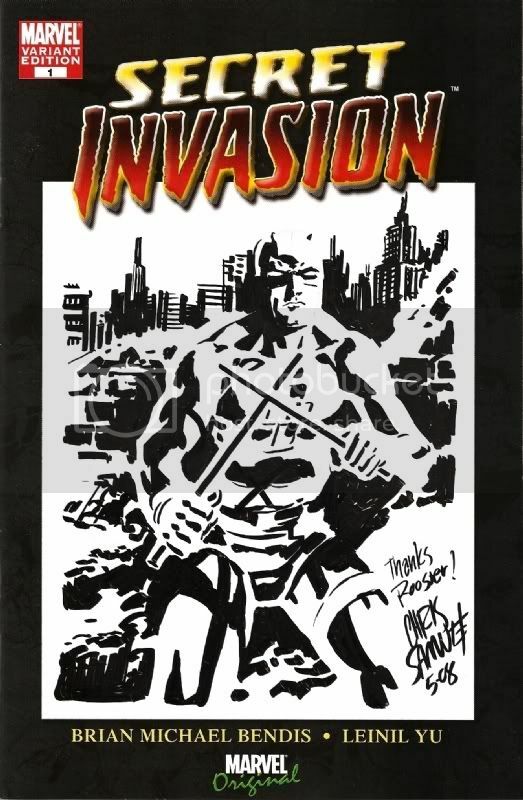 Contributions by Steve Niles, Josh Fialkov, Kody Chamberlain, Tony Fleecs, Dan Taylor and more! Help BOOM! Studios support comic book artist Josh Medors, recently diagnosed with cancer, by ordering the benefit comic book PULP TALES. This two-fisted one-shot features all-new, action-packed stories by horror master Steve Niles, P.U.N.K.S' Josh Fialkov and Kody Chamberlain, '76's B. Clay Moore & Seth Peck, Capote in Kansas' Chris Samnee, In My Lifetime's Tony Fleecs, and more! Featuring a cover by Ben Templesmith! ALL PROCEEDS will go to Josh Medors and his family. HELP NOW AND PRE-ORDER THIS BOOK TODAY! PULP TALES WILL SHIP SEPTEMBER! Bluejacket debuts in a yarn written by B. Clay Moore and Seth Peck with me on art chores. Order yours now and do your part. Oh, and my three issues of Checkmate (17, 21 and 22) are now collected in Checkmate Vol. 3: The Fall of the Wall which is in stores today. 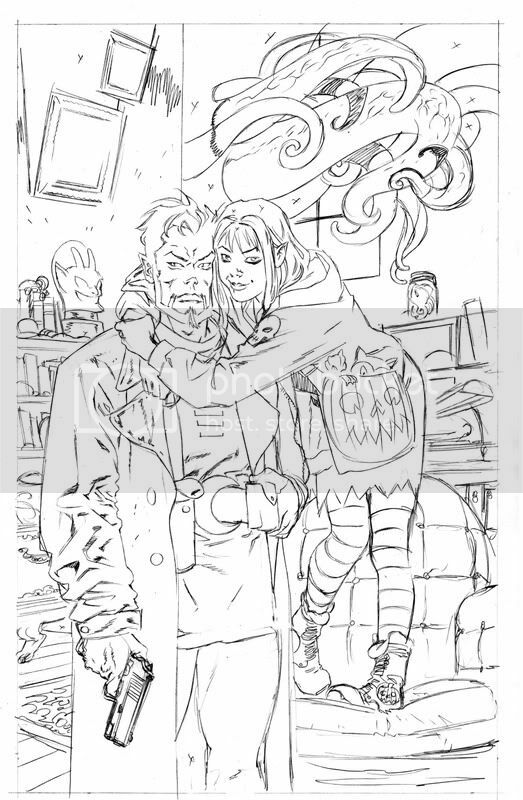 Check back tomorrow for the inks, yeah? No trickery this time. Fer realsies. 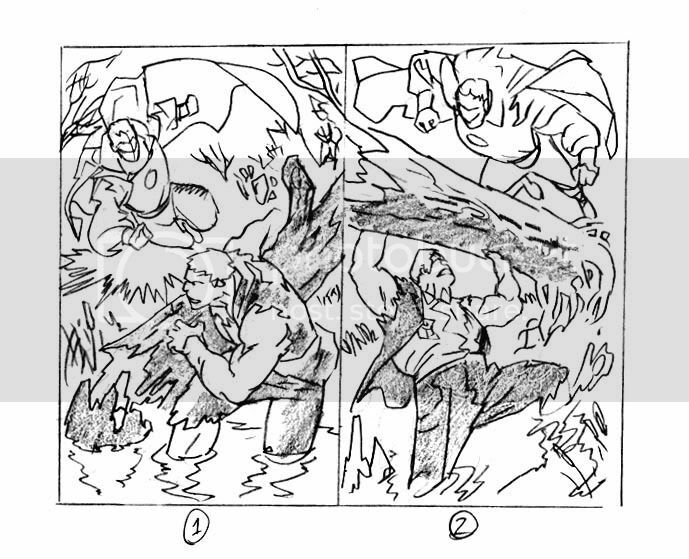 Can you guess which thumbnail the final piece ended up being based on? I threw my back out yesterday moving branches after a big storm came through, so I'm keepin' this one short. 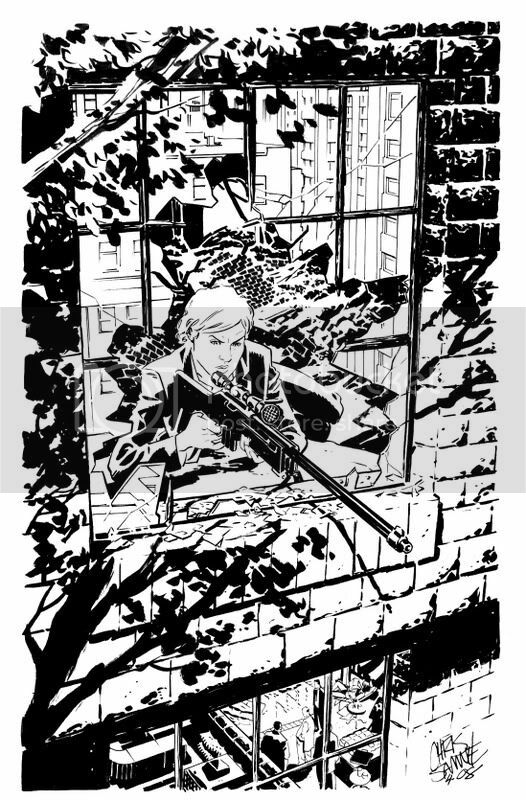 Here's the inks to the Queen & Country commission. Daredevil Week Just Won't Die!! 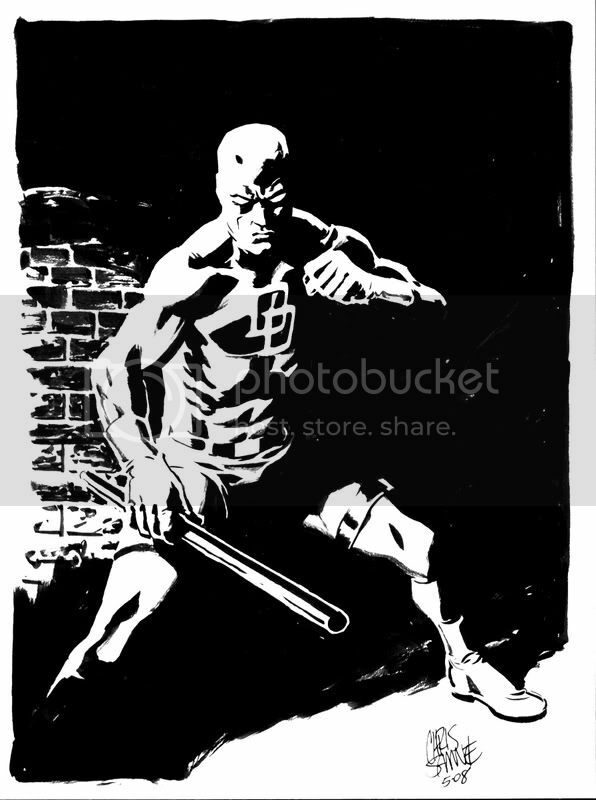 There's an interview I did with Jen Contino over at the Pulse about the Daredevil: Blood of the Tarantula. Go check it out!! 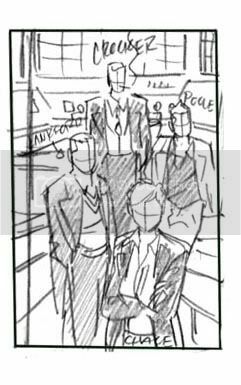 Here's the thumbnail sketch and pencils to one of my latest Queen & Country Commissions. 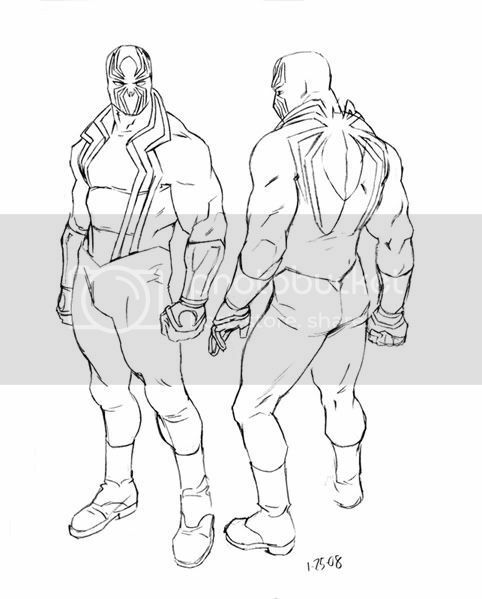 Be sure to check back on Monday, I'll stick the inked piece up here and we can compare and contrast, yeah? Okay, I think this is the last of the scans I have from Oconocon. If anyone else has a scan feel free to send it my way and I'll post it here. Otherwise, it's time to get back to posting some commission stuff. 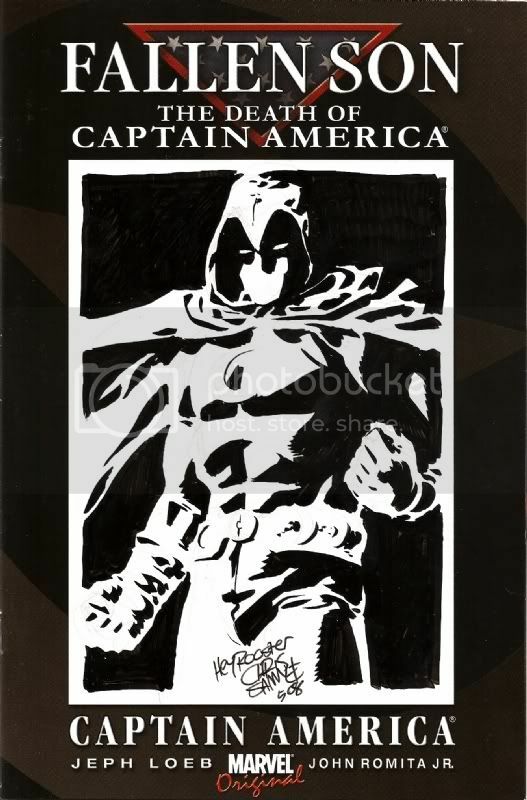 This show marked the first time I've ever drawn on one of these sketch covers Marvel puts out. A while back I told you all that I'd be posting a number of commissions, but how about we post sketches from this past weekend's Oconocon and then we jump back into things? Sound good? Okay then. Here's the Shade. Thanks again, Matt! Here's the DD drawing I just finished to be auctioned off at the Oconcocon charity event this weekend, with proceeds going to Children's Hospital of Wisconsin. I'm tellin' ya Daredevil week is bringing so much awesome we've almost broken the internet in two!! Still having image posting issues so, hence the odd overlapping posts, but hopefully all will be well after it's revealed that Google is run by skrulls. Anyway here are a couple more sketchbook pages of designs. 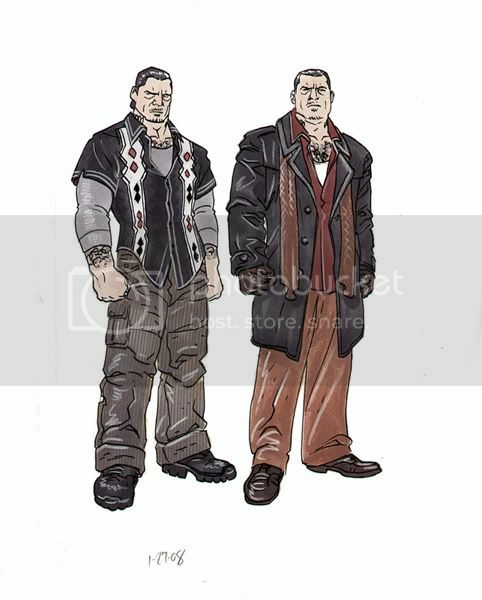 With Carlos I was trying to bring some of the desing elements of his costume into his civilian attire, so for anyone reading the character for the first time he'd be recognizable in or out of the Black Tarantula outfil. Sort of like how Clark Kent always dresses in Red, Blue and Yellow on Smallville.